We went to see Coco on our own right after it came out during the Thanksgiving break. All of the kids really enjoyed it (ages 11 to 3) and were mesmerized with the colors and story the entire time. You’ll laugh, you’ll cry (yep, I said it), and will fall in love with the story of Coco and Miguel’s family. You’ll follow on Miguel’s journey as he learns who he truly is. 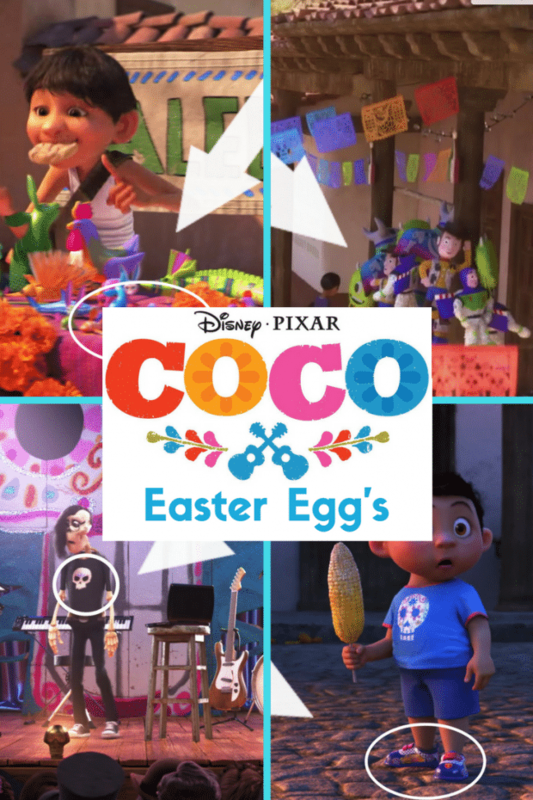 Meghan has found the Easter Eggs in Coco and has shots to help you find them and impress your kiddos, too! – Filmmaker Commentary – Presented by Lee Unkrich (director), Adrian Molina (co-director) and Darla K. Anderson (producer). – Paths to Pixar: “Coco” – Explore how the film crew’s personal stories resonate with the themes of the movie itself. 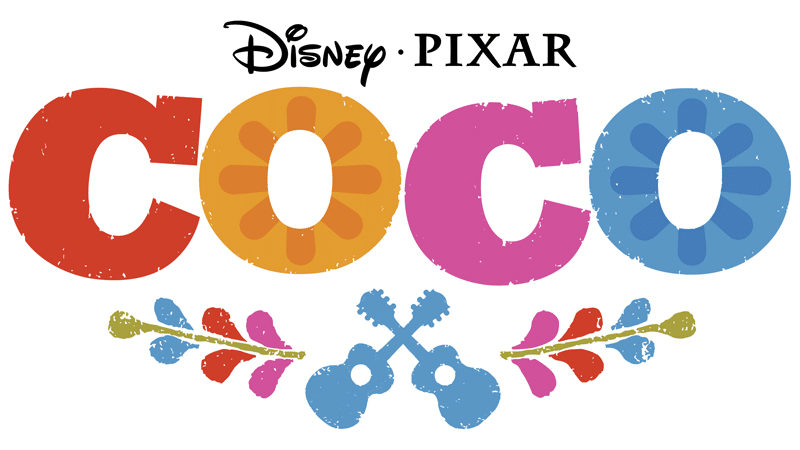 – Welcome to the Fiesta – A musical exploration of the skeletons that make the Land of the Dead in “Coco” so wondrous and intriguing. – How to Draw a Skeleton – Pixar artist Daniel Arriaga gives a lesson on the quick and easy way to draw skeletons using simple shapes. – A Thousand Pictures a Day – Join the “Coco” crew on an immersive travelogue through Mexico, visiting families, artisans, cemeteries, and small villages during the Día de los Muertos holiday. – Mi Familia – Developing the Riveras was a labor of love that took the cast and crew on a deep dive into the meaning of family. – Land of Our Ancestors – Watch Pixar artists lovingly construct layer upon layer of architecture from many eras of Mexican history, bringing the Land of the Dead to life. – Fashion Through the Ages – The cast of characters in “Coco” are from many different eras, making for some magnificent costuming opportunities. – The Real Guitar – The majestic guitar that spurs Miguel on his journey through the Land of the Dead is a unique creation. Watch as it is initially designed by a Pixar artist and ultimately realized as a real instrument by a master luthier in this poetic ode to craftsmanship. – Dante – How the crew fell in love with the uniquely Mexican breed of Xoloitzcuintli (or “Xolo”) dogs that inspired Dante. – How to Make Papel Picado – Join Pixar artist Ana Ramírez González as we learn how papel picado is made traditionally, and then try your own approach to this beautiful art form.